The leader in the motorcycle segement of the Indian market, Hero MotoCorp wants to get a move on in the scooter segment. Hero MotoCorp’s former partner, Honda 2Wheeler India, heavily dominates the 110cc scooter market with the Activa 110 while the Suzuki Access 125, with about 33,000 units a month, leads the 125cc space. 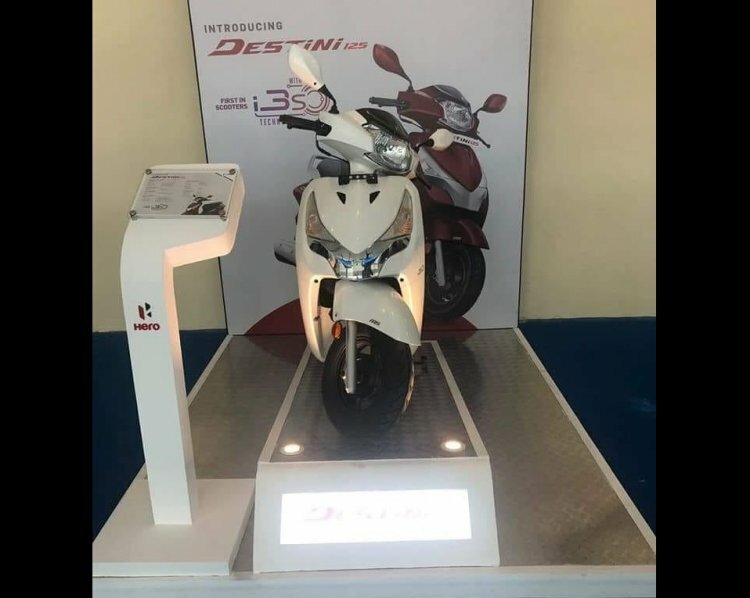 The Hero Destini 125, formerly known as the Duet 125, will arrive during the festive season to compete with the Suzuki Access. To achieve its goal, Hero MotoCorp has prepared two new products – the Destini 125 (formerly known as the Duet 125) and Maestro Edge 125 – for introduction during the festive season to grab a piece of the healthly growing 125cc scooter segment which now has the Suzuki Burgman and the TVS Ntorq clocking big numbers. Both scooters were spied in August 2018. The Destini 125 was also seen at a dealership conference in the same month. The feature list on the Destini 125 and the Maestro Edge 125 will include an external fuel-filler cap, boot light and an optional USB charging port. Integrated Braking System will enhance the safety net. Other features include a semi-digital instrument cluster with service due indicator, dual-tone mirrors, and tubeless tires. Telescopic forks at the front along and a spring-loaded hydraulic damper at the rear would provide suspension duties. The Hero Destini 125 and the Maestro Edge will draw power from a 124.6 cc, single-cylinder, air-cooled, 'Energy Boost' engine that will be tuned to deliver 8.70 bhp of maximum power at 6,750 rpm and 10.2 Nm of peak torque at 5,000 rpm. The engine will be equipped with Hero’s patented i3S (Idle Stop-Start System) technology that is aimed to deliver better fuel economy. Hero MotoCorp will offer the Destini 125 as a premium family scooter while the Maestro Edge 125 will appeal to younger audience. 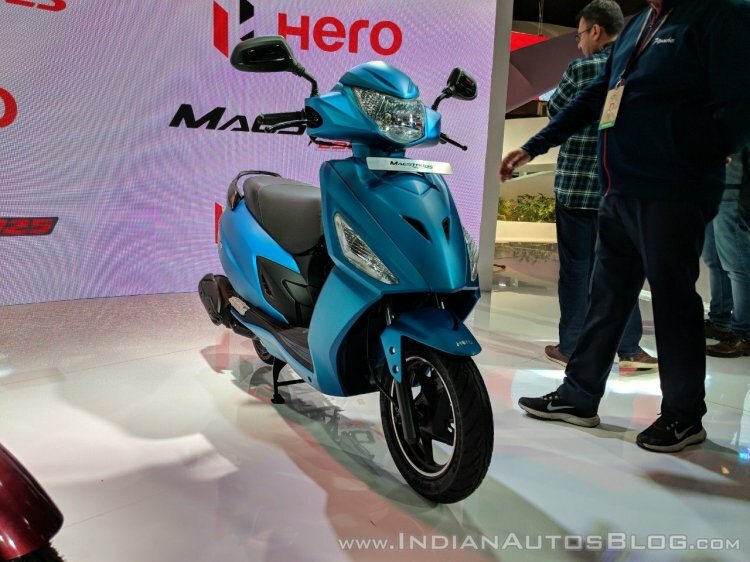 Apart from the scooter segment, Hero MotoCorp is also aiming to bite into the 200-300cc space of the Indian motorcycle market. The two-wheeler brand is reportedly planning to launch four motorcycles for 200-300cc segment over the next 18 months. The new Xtreme 200R has already been launched in India at an ex-showroom price tag of INR 89,900 while the Xpulse 200 is next on the list in the motorcycle portfolio. Another 200 cc motorcycle is reportedly under development, patent images of which were recently leaked. The Maestro Edge 125 was showcased at the 2018 Auto Expo. The Maestro (110 cc) was India's third best selling scooter last fiscal year. Thus the world's largest two-wheeler manufacturer aims to strengthen its product portfolio in the premium segments with the new launches. Hero MotoCorp registered a marginal rise in total sales in August 2018. The company sold 685,047 units in August 2018, against 678,797 units in the corresponding month last year, registering a growth of 0.92 percent.